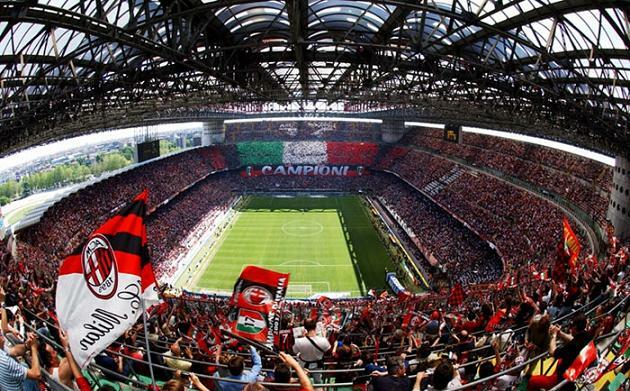 AC Milan's and Inter Milan´s home games are played at San Siro, also known as the Stadio Giuseppe Meazza. The stadium is the largest in Italian football, with a total capacity of 80,018. Inter are considered their biggest rivals, and matches between the two teams are called Derby della Madonnina, which is one of the most followed derbies in football. 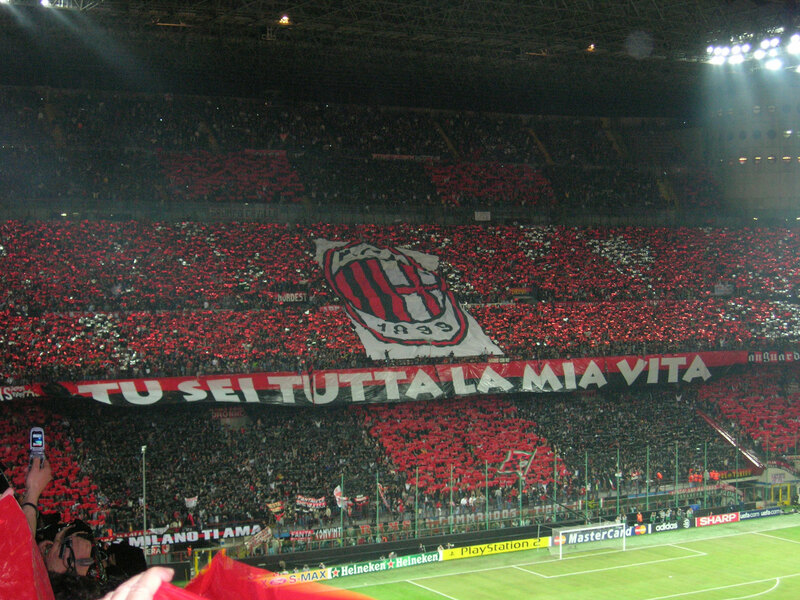 In case AC Milan is playing when you´re visiting Milan, it´s definitely worth a visit. If it´s AC Milan – Inter Milan, it´s a must go. As of 2010, Milan is the third most supported team in Italy, and the seventh most supported team in Europe, ahead of any other Italian team. The club is one of the wealthiest and most valuable in Italian and world football. Milan was founded in 1899 and has spent its entire history, with the exception of the 1980–81 and 1982–83 seasons, in the top flight of Italian football, known as Serie A since 1929–30. Milan is the most successful club in world football in terms of international trophies along with Boca Juniors, with 18 officially recognized UEFA and FIFA titles. Domestically, with 18 league titles Milan is the joint-second most successful club in Serie A behind Juventus (29 titles), along with local rivals Inter. MM1 Lotto Station or tram 16. The normal ticket prices range from 20€ to 50€ but the lounges can cost up to 340€.